Navigate cultural difference with curiosity, empathy and humility. Develop the knowledge, skills, and attitudes you need to succeed in a connected world. The GLE is an official endorsement on your college transcript. It recognizes that a student has gone beyond typical expectations to develop global competencies and engage in intercultural learning. 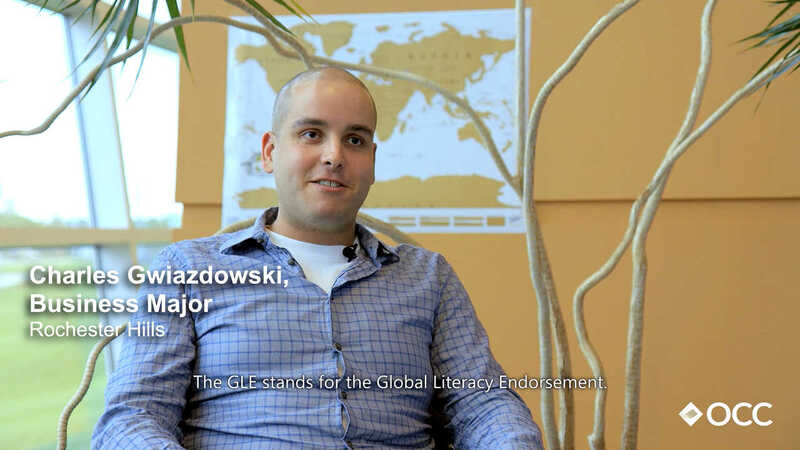 You can earn the GLE by participating in a combination of academic courses, life experiences, and local events and activities, all with a global focus. After fulfilling these requirements and tracking your progress on a dedicated D2L site, you will present a capstone project at a global learning event. Global Academic Experience: Complete four courses in two different disciplines from the approved global course list and earn a grade of C+ (2.3) or higher in each. At least one semester of language is required. 2) engage in at least two sustained local experiences with a global focus. Global Activities & Events: Attend at least four global/international activities or events at OCC or in the community including a minimum of one per semester while you are pursuing the GLE. Capstone Project: After fulfilling the requirements in each of the three areas outlined above, you will complete a capstone project. The project includes preparing a comprehensive reflection on your GLE experience and presenting it at a global learning event. Once all of these elements have been completed, you will receive the GLE on your official transcript. The overview outlines all of the specific requirements of the GLE. For more information and to get started, check out the links on the right side of this page . The GLE will prepare you to thrive in a complex world. No matter where you are or what you do, you will live and work with people from diverse backgrounds. Developing the cultural awareness to communicate effectively and build equitable relationships with people from different backgrounds is essential in today's global world. The GLE can help you develop these abilities and competencies. The GLE will prepare you for success in further education and employment. Colleges and universities are prioritizing global learning. Employers are demanding the 21st century skills defined by global competencies. In other words, being able to work with and through the complexities of an interconnected world is essential to achieving your life goals. The GLE provides a launch pad to prosperity in higher education, the workplace, and the broader community. The GLE will prepare you to be a positive force in your community. Through the GLE you will develop empathy and awareness, practice ethical engagement, and pursue equitable collaborations. You will be urged to move beyond simplistic solutions into nuanced understandings that address root causes. These opportunities will give you the confidence you need to face the challenges of a global world with humility, accountability, and openness. The GLE will transform your life and empower your future.